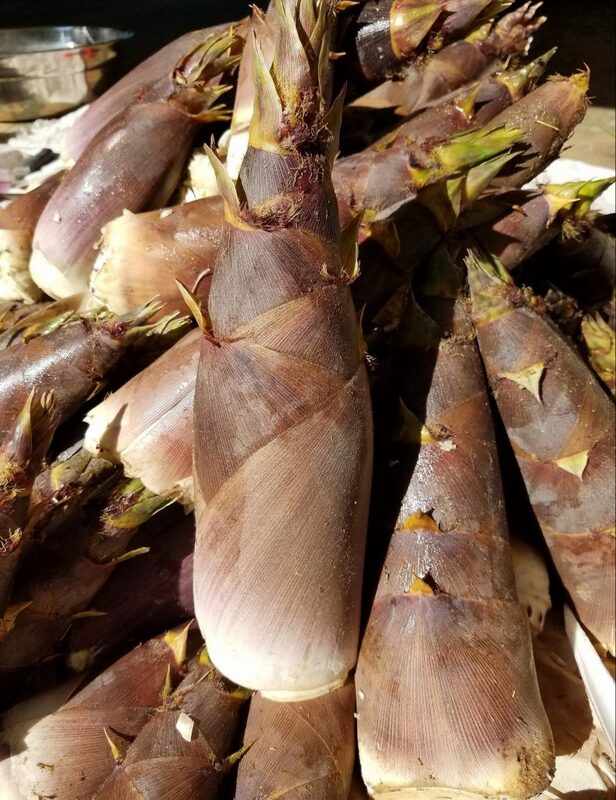 Bamboo shoots are poisonous but why are Japanese eating it as sashimi? It turns out there are seven edible species out of 1,000 existing ones. What are the chances, right? When I was growing up, my mother would cook up some dishes that looking back now seemed outré (and it was not just me, my siblings thought so, too). My mom came from Ilocos, so on Sundays, we would have this sticky vegetable soup called dinengdeng which is good, to be fair. We had small inch-long fishes called ayungin sauteéd in ginger. But those were tolerable. There was this one, however, that I could not bear to eat. Even now I would get flashbacks of eating it, smelling it, and I would be in a sort of nightmare-ish nostalgia. You have to understand that our hometown was relatively undeveloped. We had patches of plains, and almost forest-like lands populated by tall and limber bamboos (which I later learned are actually invasive species). So there are vendors who sell young bamboo shoots called labong or usbong ng kawayan. They are these white to yellowish newly-sprouted shoots which grow close to the ground that is sold pre-sliced, although you can also buy them whole. My mother would cook it in coconut milk which brings out its pungent taste. Some days we are lucky. She would make it into adobo. Just the same but more bearable. 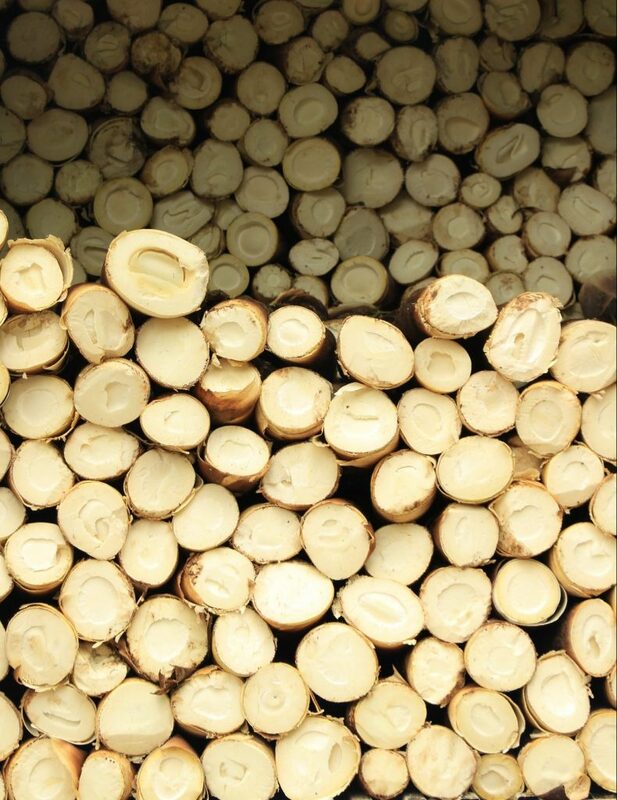 This ingredient is relatively common in most parts of Asia, where the climate generally favors the growth of bamboo. In Japan, the shoots are known as take no ko and are eaten raw sashimi-style. While I’ve never had it myself, it seems like a rational choice considering, it’s bitter taste aside, the texture is crisp and conducive for raw eating. Some even say it’s sweet. Although, there is one catch: it’s poisonous. Just like the cassava, labong contains cyanogenic glycosides named taxiphyllin, a naturally occurring toxin which can poison those who consume it. But don’t fret there are seven edible species out of the 1,000 species of bamboo. So what are the chances that you will end up eating something that will ultimately kill you, right? Although, even if the bamboo shoot is poisonous, there are ways to detoxify it. One way it by removing its fibrous exterior and then boiling it. But that changes the texture of the bamboo. Another detoxification trick is to marinate it in vinegar or soy sauce, which are common condiments in Japanese cuisine, which explains why they may be so confident in serving raw bamboo shoot sashimi. But my theory is that Japanese people like living on the edge, I mean, isn’t puffer fish or fugu, a known poisonous fish that could kill up to 30 people with one serving, also a delicacy in their country? To each their own, I guess?